Ubisoft has released Assassin's Creed Unity for Xbox One and PlayStation 4. The new release has one of the largest cities in the history of the entire series with the beautiful renderings of Paris that features actual playable interiors within the massive buildings of the world. If you have been looking forward to spending around 20-30 hours of your life within the beautiful city then get ready to with the release of Assassin's Creed Unity! Assassin's Creed Unity starts out with a beautiful presentation that discusses Helix and the option to make the past your playground. Your adventure starts with "The Tragedy of Jacques De Molay," and players have the ability to unlock additional gameplay and assassins as they progress. The great audio narration tells us about out fallen heroes and introduces us to the heroic Knights Templar Jacques de Molay who was betrayed by the corrupted King of France. Gamers get to relive the final moments of several heroic characters by utilizing the Helix allows gamers to enjoy a wide variety of gameplay which manages to stay fresh and entertaining through the entire adventure. The visuals and audio in Assassin's Creed Unity are simply astonishing and really brings the unique gameplay to life before your very eyes. Combat is more fluid and responsive than ever before with fantastic animations that make each battle seem more realistic and immersive. In the first mission of Assassin's Creed Unity, you actually assist Jacques de Molay in his mission to catch and kill the Assassin. The player, Esquieu de Floyrac, retrieves a book from the Assassin and retrieves a book that he returns to a hidden compartment locked with his magical sword before he meets his untimely demise. Esquieu was imprisoned with a renegade Templar who he confided with about the many misdeeds of the Order. This evidence was then used to round up the Temple of Solomon and Knights Templar to be destroyed. Jacques de Molay's life ends when he burns at the stake and thus does that of the Knights Templar. Assassin's Creed Unity has a well-written storyline that centers around its detailed narrative and complex characters. After your completion of the first mission, players can access the database and the Encyclopedia to view entries based on your exploration during HELIX sessions. 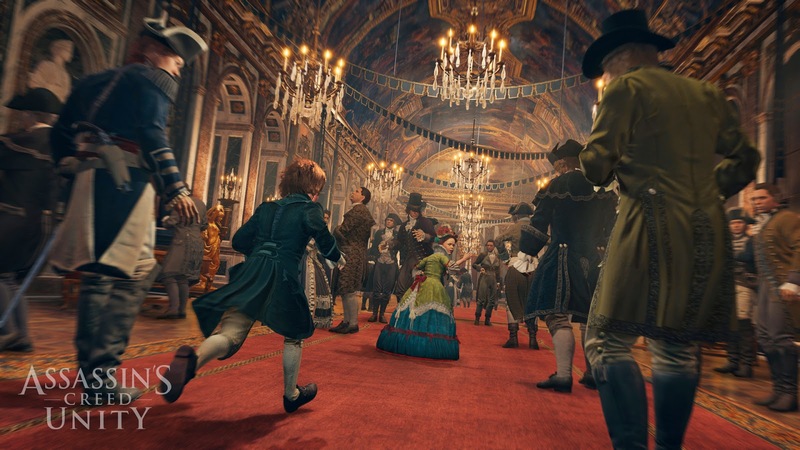 Gameplay in Assassin's Creed Unity is so varied that there is never a dull moment in the game at all and features a more exciting adventure than ever before. Players will be thrust from fiery battles against dangerous opponents into the lives of small children tasked with playing tag and stealing apples. However, every sweet and innocent moment as the child Arno Victor Dorian can be wiped way in mere moments when he experiences the loss of a loved one who lays dead before his very eyes. 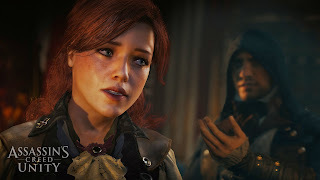 Gamers will get to step into the lives of a wide variety of characters and thanks to the great story, can actually find themselves becoming emotionally attached to the people of the various worlds you explore, which makes the gameplay in Assassin's Creed Unity hit an all new level of immersiveness. Players will actually care about the moments of each character's life such as the beautiful romantic story between Arno and Elise De La Serre. 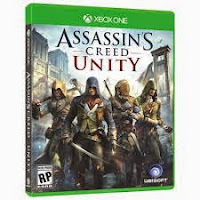 Assassin's Creed Unity allows players to unlock entries in the database as they complete small mission objectives in order to learn more about the characters and their lives with the ability to rate the memories they experience. We greatly enjoyed the eccentric cast of characters and the beautifully designed environments such as the Village de Versailles, which made gameplay even more enjoyable, despite the occasional glitches in the models within game. Memory sequences are scattered throughout adventure to further the experience of your character and their story. Run and jump across the vast towns and cities by using your characters agile movements and skills with the ability to climb to the highest point for the best view of the game world. Players will find the controls for their character in the upper right hand screen of the game with the ability to use Eagle Vision, Cover, Free-Run, Draw Weapon and so forth. Once you complete certain objectives in a memory sequence then you will unlock Fast Travel to move about your environment at a much quicker pace. 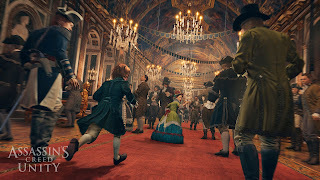 Assassin's Creed Unity has a world full of collectibles, like Cockades, and unlockables which creates a high degree of replayability for the title. The player's mini-map will help guide you in finding where you need to go while a selection of Tips will appear on the right side of the screen if you have any difficulty in completing your objectives. The world of Assassin's Creed Unity is full of hidden wonders and information which makes every aspect of the game more intriguing and complex. 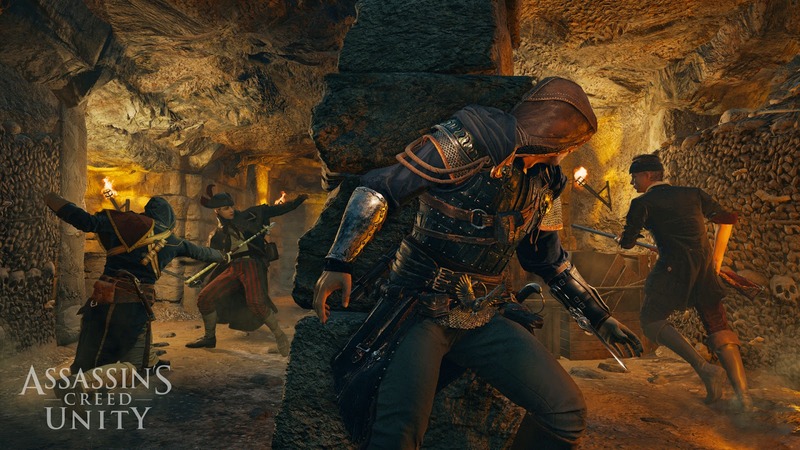 Properly utilizing strategy and stealth is still a crucial aspect of the Assassin's Creed series and this once again takes center stage in Assassin's Creed Unity. Assassin's Creed Unity manages to deliver more NPCs within the game world than ever before which really makes the game seem more realistic as you have to fight through huge hordes of people to complete missions and interact with. The lighting and shading for the new release have been amplified to great heights in Assassin's Creed Unity which are evident in the exquisitely detailed buildings that contain fully fleshed out interiors with everything inside them that you would expect to see in reality. In the end, Assassin's Creed Unity is fantastically brilliant game that contains a fun single player campaign with optional co-op missions. Most of the game takes part in the past through the use of the HELIX with the ability to understand your ancestry by reliving moments of past assassins, however, there are modern moments in the game that will allow players to enjoy their own unique adventure. While there is no competitive multiplayer mode and the occasional glitch in model renderings can break the overall immersion of Assassin's Creed Unity--it still manages to be an extremely enjoyable game that most fans will appreciate. Assassin's Creed Unity is now available for Xbox One and PlayStation 4. Assassin's Creed Unity is rated M for Mature by the ESRB. For more information on the game, check out the official Assassin's Creed Unity website.